If your child is an artist in the making then why not treat him or her to our great personalised pencil cases, which come with their name and also the slogan "Pens & Pencils. 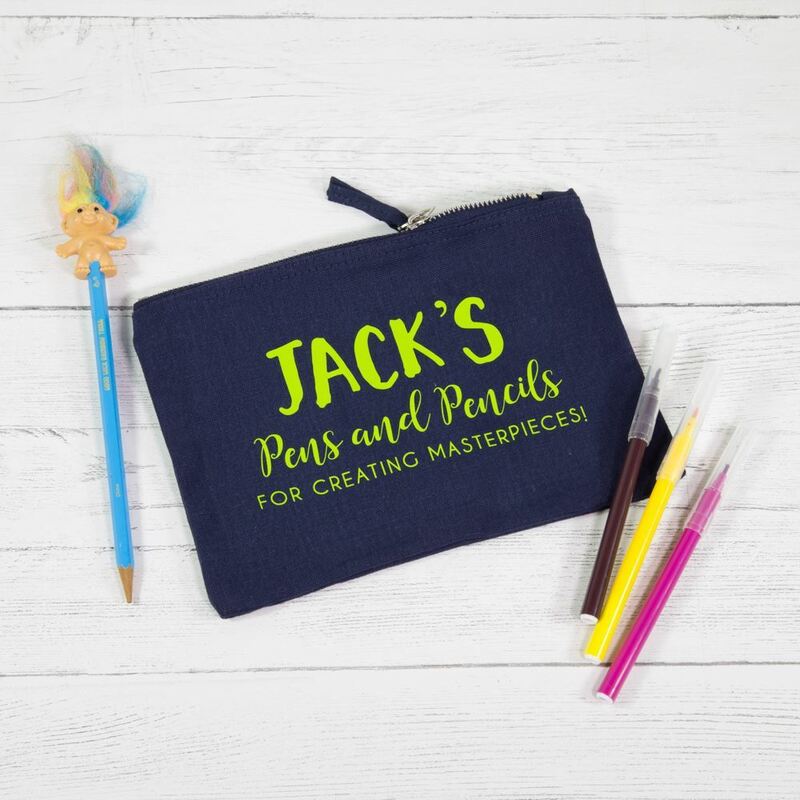 For creating masterpieces". 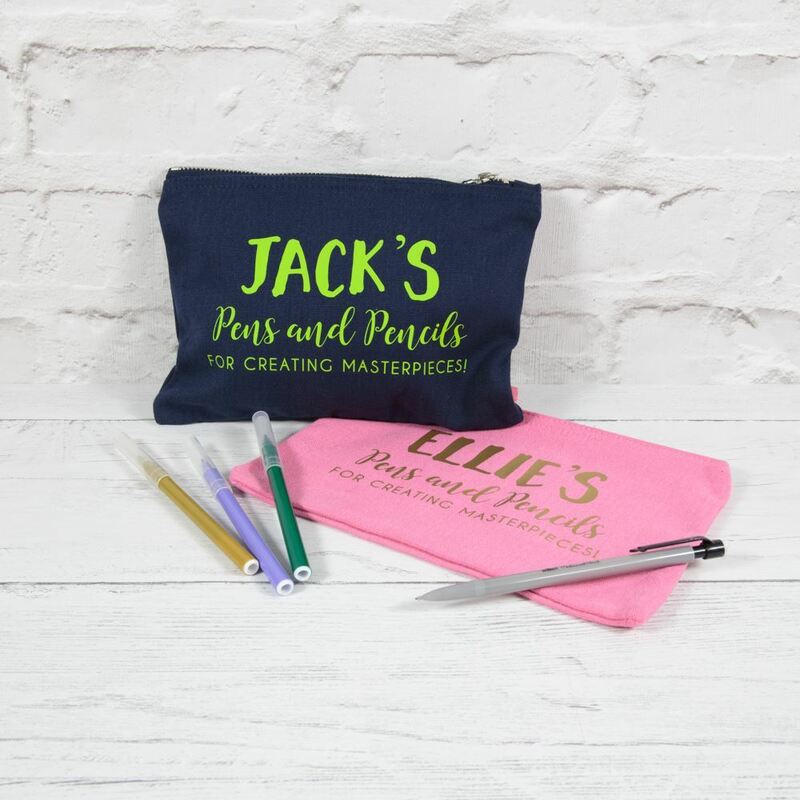 If your child is an artist in the making then why not treat him or her to our great personalised pencil cases, which come with their name and also the slogan "Pens & Pencils. 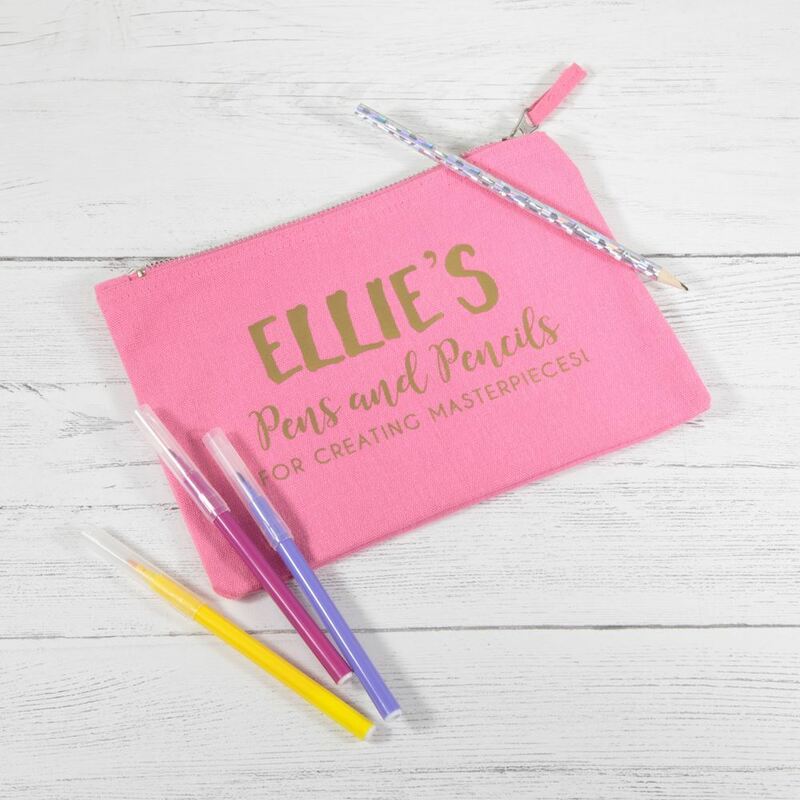 For creating masterpieces". 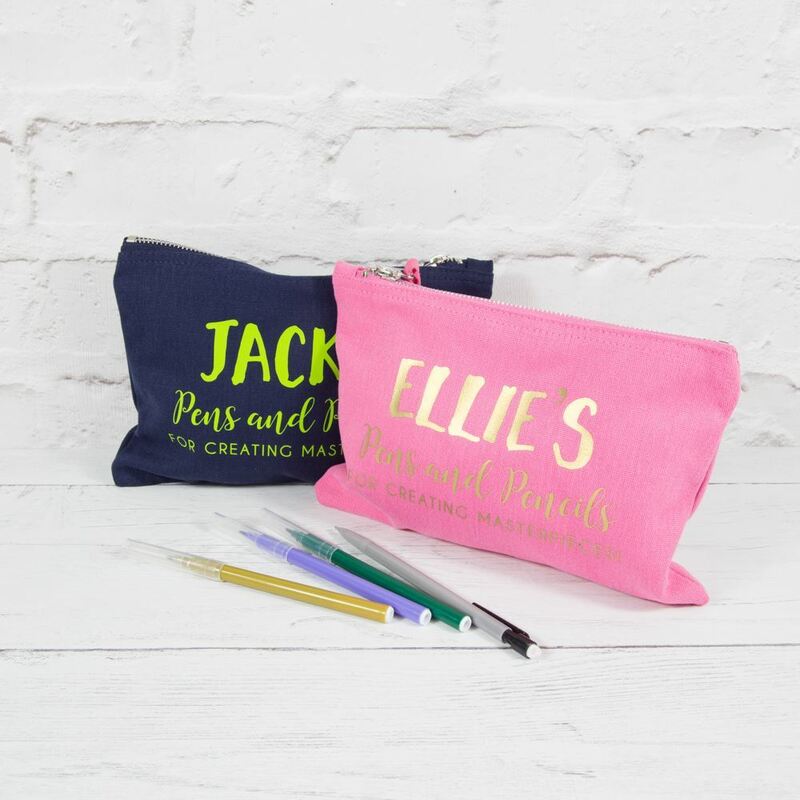 They will love the little bag with their own name on and you can chooose from the dropdown lists to change the colour of the bag and the wording to suit you. 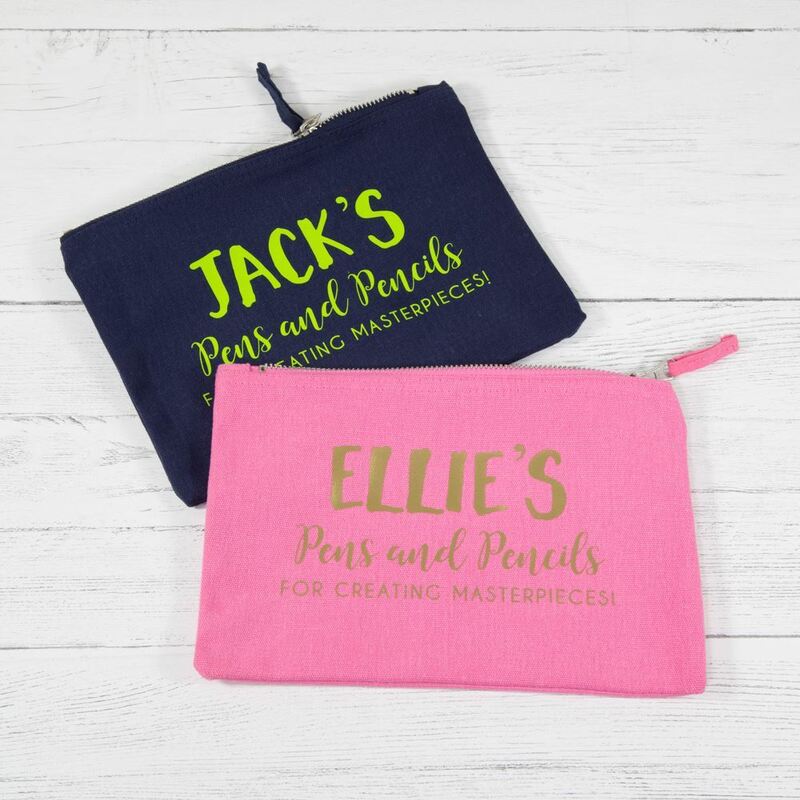 Each bag is made from 100% brushed cotton canvas. The fabric weight is 407gsm and it is finished with a vintage style metal zip. The bag measures 23cm x 16cm. PLEASE ENTER THE NAME OF THE CHILD IN THE COMMENTS BOX WHEN YOU ORDER.